One thing I really love about America is the placenames! 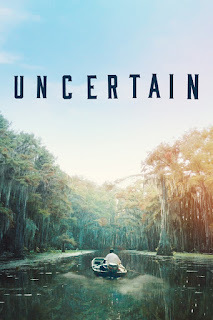 Uncertain is a small town (population 94) on the Texas side of the Louisiana/Texas border and could well have been the origin of the stereotypical deep south community. A bunch of shacks among the mangroves, with a bar and a general store beside a lake that’s so choked with weed that even the catfish don’t come any more. And the people who live there give body and soul to those same stereotypes – it’s definitely a case of life imitating art as, if you wrote this as a work of fiction, people would call you out for being far too clichéd. 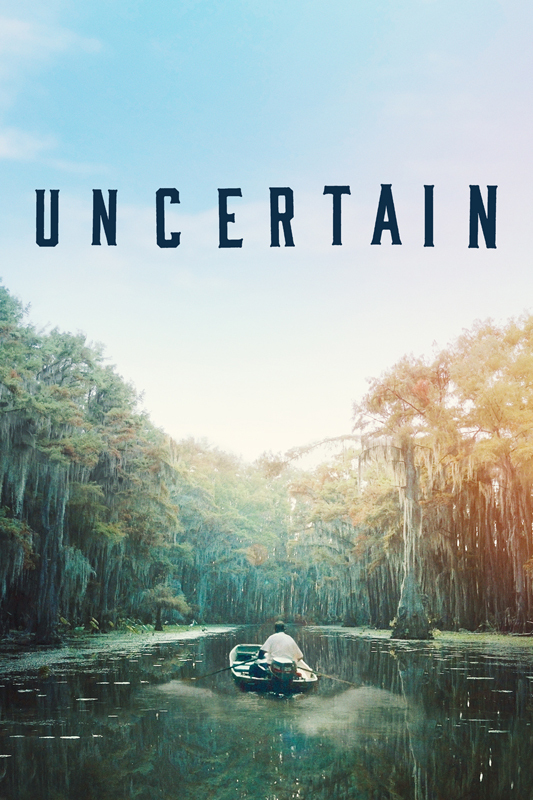 The documentary follows just three of the characters of Uncertain. Zach Warren is a young diabetic who does yard work just enough to get money for his insulin, to go drinking or to play Xbox games because that’s all there is. As he says in the film “in Uncertain you retire at 21” because there is nothing else and he sees his only hope of making anything of his life is to leave the place once he can afford to but the demon drink keeps calling him back. Then there’s Henry Lewis, a widower whose family has a long history of living in Uncertain. At 74 he’s seen it all, done it all, and paid a huge and life-changing price for it. In order to make ends meet he’s a guide at the lake and spends his days at the fishing store and his nights with his latest girlfriend who is 30 years his junior. But Sundays are always taken up with Church as he earnestly and sincerely repents for the sins of his youth. There is also the side story that affects the whole community like the problems with the lake being over-run by an accidentally introduced voracious weed it means the fish, and therefore the tourist fishermen, no longer come. Spraying doesn’t kill it, it just clogs the lake bed with dead mulch and regrows, so other methods have to be considered because, if the lake dies, the town dies. It’s as simple as that. And I think that’s part of the point of the film by Ewan McNicol & Anna Sandilands, to prove that people and places like this really do exist. There’s a lot of hardship, heartache and pain, both physical and psychological but, as with all communities where people are just getting by, there is a real sense of family, of acceptance that everyone is in the same boat. The bar is buzzing, the cops are respected and everybody knows everyone else (which may or may not be a good thing). And the stories are very well told, letting the people speak for themselves against a backdrop of McNicol’s stunning cinematography and superb use of the natural sounds of the swamp along with Daniel Hart’s music that drenches it all in the oppressive heat and humidity of the deep south. If you’re looking for a political agenda behind what could be seen as a “snapshot of Trump’s America” you won’t find it. There’s no tub-thumping, no moral outrage, no protestation at the establishment’s lack of concern for a small town that even small-town America has forgotten about. Yes, the environmental pollution, the crime problems, the healthcare, the drug use, the poverty is all there in the film, and viewers can make of that what they want, but these are just the facts of life in Uncertain. It is what it is. Knuckle under and get on with it without any fuss. Instead, what you have here is a richly descriptive study of a place and its people captured in a fleeting moment. It’s a John Steinbeck novel brought to life – nothing ever really happens but it does it in such an evocative way and with such interesting characters that you can’t help but want more of it. Uncertain is at the ICA in London from 10th March and On Demand from 17th March, available for pre-order on iTunes from today.